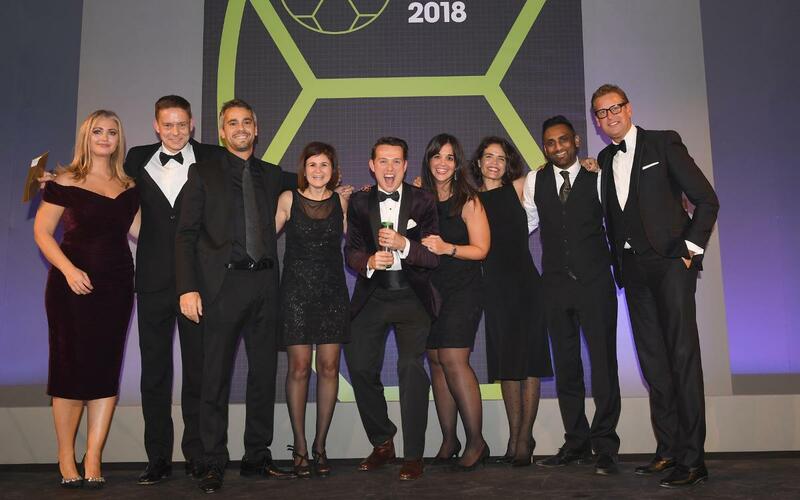 Beko, FC Barcelona's main sponsor, were winners at the Football Business Awards 2018 in London, scooping the 'Best Brand Activation Involving A Club' prize for the 'Eat Like a Pro' campaign that combats child obesity. FC Barcelona and Beko were also nominated for the 'Sponsorship Of The Year' award, placing second in the category. The Eat Like a Pro initiative helps promote healthy eating amongst children, imitating the diet and lifestyle of their favourite players. The aim is to prevent childhood obesity, educating parents and children about the importance of nutrition. FC Barcelona and the Barça Foundation supported the leading electrodomestics brand in Europe to raise funds for UNICEF, reaching a total of 1 million euros. This action took place during El Clásico against Real Madrid in May, with the first team wearing the 'Eat Like a Pro' logo on their shirt sleeve in the game and on their training kit before the encounter. Thanks to this initiative, the campaign achieved high visibility on a global level.